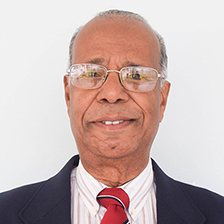 Mr. Percival Mc Donald is a St. Lucia National who has worked with Government at the level of Permanent Secretary within the Ministries of Agriculture, Health, Tourism and Financial services. Following his retirement from the Government services in 1999, Spartan engaged his services in September 2005 as Consultant/Administrator. He has been in this position for the past nine (9) years.